Need help choosing your cheese? 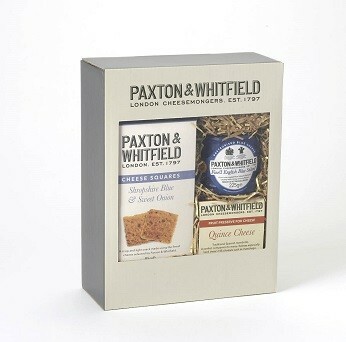 A stylish gift box containing Shropshire Blue Cheese Squares, a waxed Stilton and Quince cheese to accompany. Known as "Membrillo" in Spain, this finest Quince is made only from natural ingredients. A perfect companion to many cheeses especially Manchego. Also delicious served with cold meats or even ice cream. Subscribe to our newsletter and get recipes, offers and news straight to your inbox.